Every colleague within “Team Sumaridge” is considered to be a key member of staff. 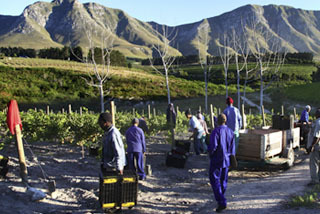 Be it on the farm, in the cellar, the tasting room, the kitchens or beavering away behind the scenes, making wine is very much a team effort and everyone is considered to be a VIP. Simon Turner, and his wife Holly Bellingham, bought the estate in 2008, having been lucky enough to enjoy a family holiday home in Hermanus for some years. Holly's pseudonym is Mrs @Sumaridge! Holly and Simon divide their time between South Africa and their home in Suffolk. “We are very lucky to be able to spend much time in Hermanus, but, at the same time, be based in England, which enables Holly and I to spearhead marketing, sales and client liaison outside Africa.” Said Simon. And both at wine shows in Europe, and in the cellar, the next generation of the family are roped in to lend a hand! 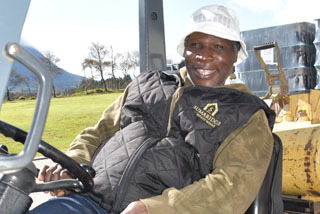 Reginald Maphumulo has been cellar assistant since before the first vintage in 2000, and has recently been promoted to assistant wine maker. He has helped preside over every vintage that the vineyard has made. Walter Prestorius joined us from agricultural college, before going abroad to gain further experience in vineyards in Australia, New Zealand and USA. 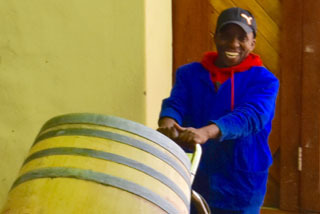 Walter returned to South Africa - and came back to Sumaridge, and after spending several years under the tutelage of our previous wine maker Gavin Patterson, Walter has now been promoted to wine maker. 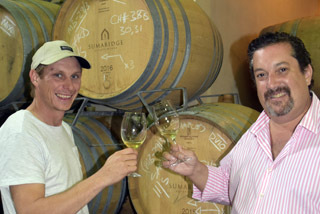 The Sumaridge winemaking team are steadfastly committed to a philosophy of maintaining a balance with nature. This carries through to our wines which have a distinct sense of place and reflect the natural beauty of our terroir. This is borne out by the impressive number of prestigious local and international awards our wines have accumulated over the years. 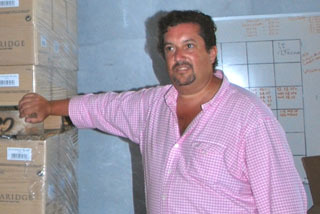 Walter added a further dimension to the cellar, with his knowledge of the importance of the implementation of good occupational and environmental practice in the work place. Reggie and Walter are ably assisted in this, by Elias Mbaba who focuses on hygiene of the cellar and equipment. You are more than welcome to to visit our Cellars where you can learn more about our winemaking processes and the stringent quality standards Gavin and his team adheres to. You will also have the opportunity to sample our full range of wines and enjoy for yourself the wonderful Sumaridge character in a most beautiful setting. 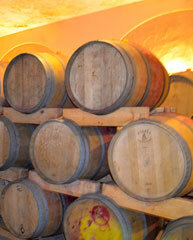 Click here for more information on visiting the Sumaridge Wines cellar. Petrus Bothma and Reggie lead a team of 20 people with diverse viticulture and farming skill sets, and varied responsibilities around the estate. According to the time of the year, everyone will help with seasonal pruning, vine husbandry, harvest. 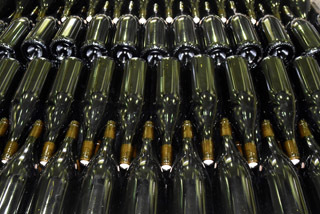 Again, depending on the time of the year, this team assist with cellar operations such as bottling and labelling, all of which is carried out on the property. Lorraine Loubser leads the team of tasting room staff. Their love of wine and story-telling is immediately apparent when you’re part of the tasting room experience. The tasting room team's infectious fervor for the Sumaridge wines has often won over those reluctant to try something different and results in new converts time and again. 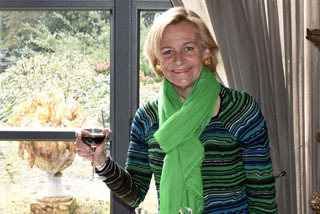 Lorraine also oversees the management of the dining room and luxury lodge. Doreen Malgas and Nolly Somtsewo have been part of Sumaridge’s history for many years and is a vital ingredient in the Sumaridge experience, being responsible for the delicious platters that come out of our kitchen. Doreen's smiling face and great sense of humour never fail to add a touch of happiness to even the most wintry of our Cape days, especially when she’s bearing some of her tasty soup and artisan bread! Pamela Martin and Jill Younghusband lead a growing team of people, ensuring efficient and friendly support to our suppliers, customers and internally. Jill and Pamela's myriad of responsibilities include ensuring the smooth running of the financial and administrative support for all areas of the business. Pamela is unflappable, and with the assistance of Jeffry Felix ensures the safe, prompt and friendly delivery of our wines. Sumaridge Estate Wines is certified by 'Sustainable Wine South Africa' driving the South African wine industry's commitment to sustainable, eco-friendly production.